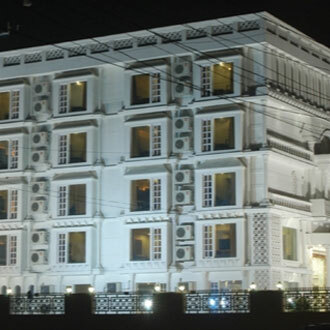 Overlooking the beautiful view of the Taj Mahal, this 3Star hotel is located at Fatehabad Road. There are 52 rooms across four floors. A multi-cuisine fare can be relished at the Zaika Restaurant, which is open for breakfast, lunch, and dinner. There is also a roof-top restaurant, serving scrumptious fare to its diners. Guests can also organize parties at the in-house banquet space, which can also be used as a conference venue. There is also a business center for official purpose.